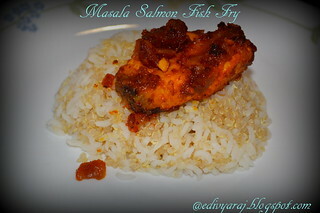 Masala Salmon Fry is loved by almost all non-vegetarians..! 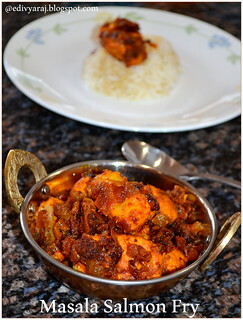 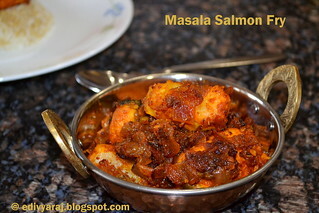 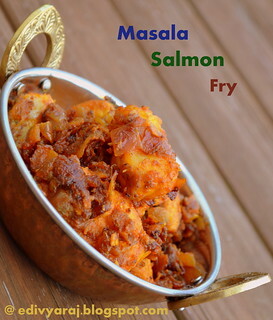 !Today, i am going to share with you a Masala Salmon Fry recipe that is easy to make ,yet very tasty!!! 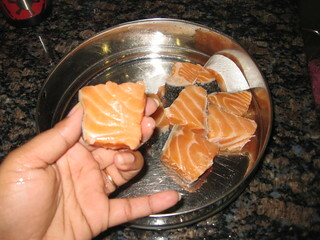 Cut in to small pieces and wash well and drain completely and keep aside. 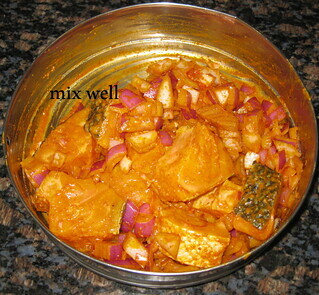 Marinate the fish with turmeric powder,red chilli powder,ginger garlic paste ,salt a,lemon juice,oil and onion pieces mix well with all masala. 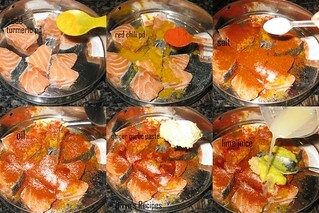 Marinate for 1 day before or at least 5 to 6 hours for marination. 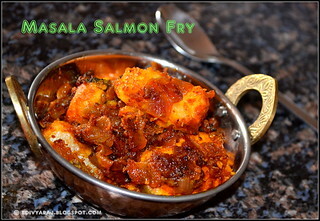 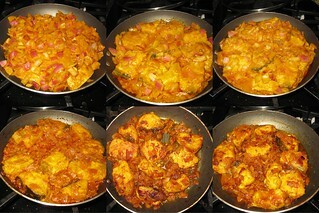 Heat oil in a pan.Add the masala fish pieces ,use high flame initially and low flame to cook. 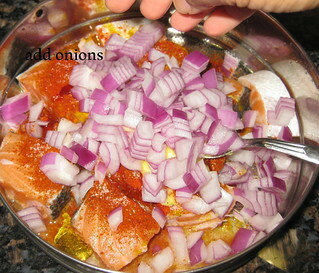 Fry the fish on both sides till it turns golden brown and crisp from outside. 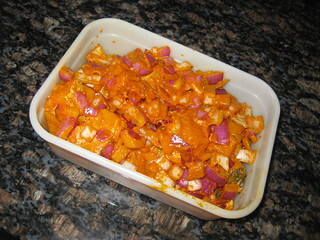 Transfer it to a plate and serve with rice ,like a side dish Enjoy!! 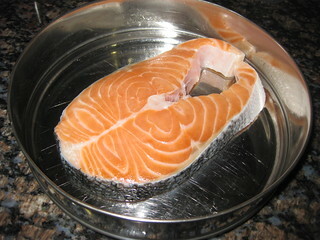 The same way can be tried to fry any type of fish.But just take care of the cooking time as it varies based on the type of fish.